Berlin is a multicultural and multi-faceted city that has something for every taste. While most people will be aware of the Berlin Wall, Brandenburg Gate and Checkpoint Charlie, the city can also offer its many visitors more unique places to see and things to do. The city is a colorful mix of lively, chaotic city bustle and quiet, idyllic locations in the countryside. Such diversity must be experienced when spending a day in the capital. Follow the suggestions below to see a side of Berlin only locals get to experience. Begin the day at the restaurant “Hafenküche”, which is located at the Rummelsburger Bucht Bay. An especially delicious dish on the menu is the “Alte Flussbadeanstalt” breakfast which is served with salmon, Prague ham and a delicious homemade jam. From the restaurant terrace diners have a magnificent view of the River Spree, and boats can be rented directly outside the restaurant. 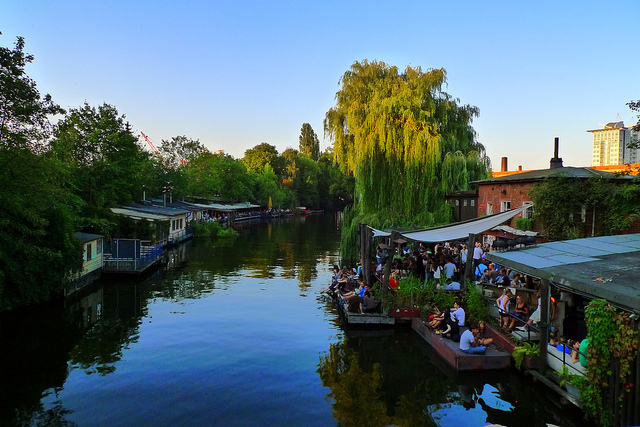 Should you want to explore Berlin by water, a boat tour is the best way to do so. After breakfast is the perfect time to embark on a relaxing walk along the banks of the Rummelsburger trail. The 5 kilometre hiking trail leads around the bay, and part of this idyllic lakeside area is a nature reserve. Berlin is a great place for a splurge but money doesn’t always have to be spent in the shops which line Kurfürstendamm. 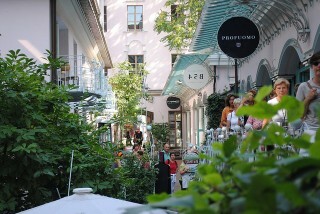 Hackescher Markt in Mitte is perfect for shopping enthusiasts. From small, creative businesses with unconventional wares and exclusive creations to larger, more affordable chain stores with the latest trends – Hackescher Markt has everything a shopper desires. The early nineties rehabilitated Hackescher Markt is not only good for shopping. It’s also home to galleries, theaters, cinemas and a variety of cultural events, making it a popular spot for young and old alike. It’s almost impossible to be bored here. One wonderful restaurant off the beaten tourist track is the small Korean restaurant “Yam Yam” which is located on Alte Schönhauser Straße. There are plenty of culinary delights served here so it can be hard to make a decision. 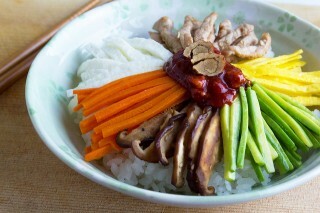 Bibimbap is a popular rice dish with vegetables, but the soups and wraps are also highly recommended. This restaurant is an insider tip so if you want to delve into the world of Korean food and try authentic specialties, make sure you stop by here. Berlin also does great traditional dishes. The restaurant “Wernesgrüner B” lures guests in with hearty fare served in a rustic setting. Head to the Karlshorst district to sample classic German whilst enjoying live music and a friendly and sociable atmosphere. If the weather’s good then Müggelsee Lake is a dream location. It is Berlin’s largest lake and offers numerous leisure and relaxation facilities as well as beautiful landscape. Come here to make the most of hiking and biking trails and a beach. 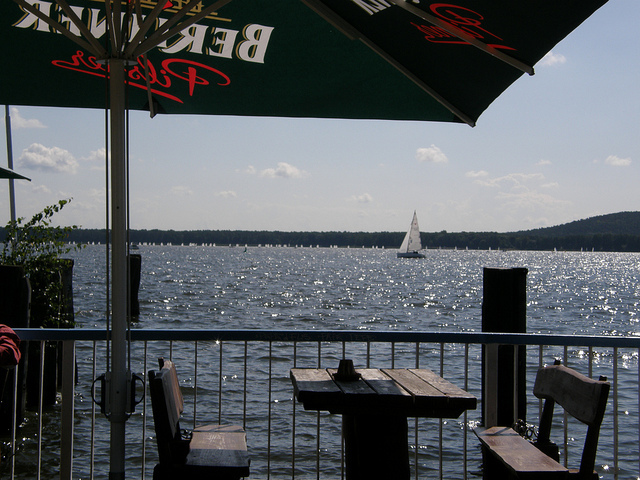 In Müggelsee, you can relax with an ice cream in hand and watch passing rowing boats and surfers. The option is also there to simply lay on the lawn in the park and enjoy views over the water and the boats sailing into the evening sun. On warm summer evenings, the perfect place to be is Club der Visionäre. This waterfront club with a large sun deck is located in a former boathouse and offers a variety of music in a relaxed atmosphere. Another venue worth checking out is the Kulturbrauerei. Here there are a number of different clubs under one roof, as well as cinemas, theaters and restaurants. There is so much more to discover in Berlin – leave your top things to do in Berlin in the comments section.